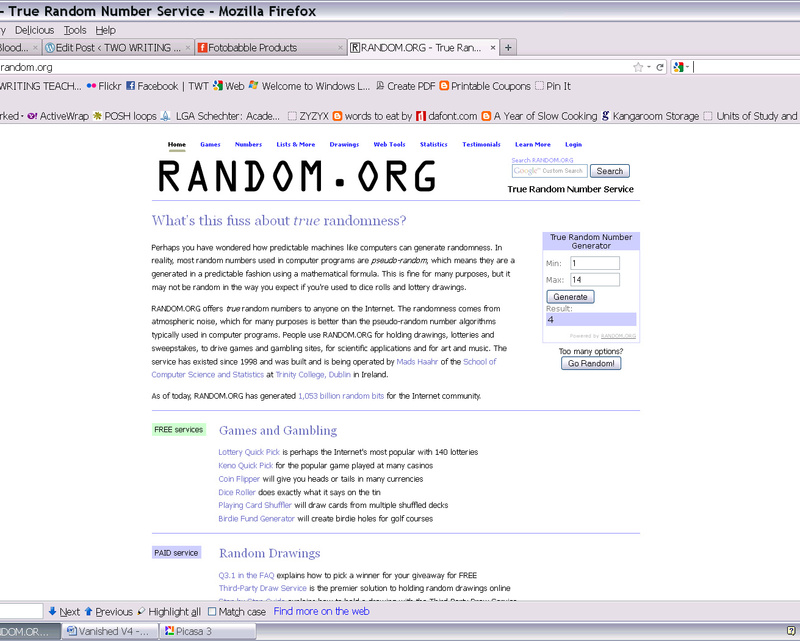 #4 was the number the random number generator selected, which means Linda Baie wins a copy of The Blood Lie. Many thanks to Cinco Puntos Press for sponsoring a giveaway of Shirley Reva Vernick’s new novel, The Blood Lie. If you missed the original post about this book, then click here to read it now. Wow, just checked my reader & there was my name! I’ll send my address via e-mail Stacey! Thank you very much!